Temple University bought an ad sent to the AAG's SmartBrief subscribers for its residence professional science master's in GIS degree. Among the selling points: "Prepares students to become a certified Geographic Information Systems Professional (GISP)." 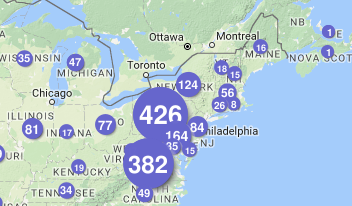 Penn State offers a map of its e-education GIS alumni. It's based on Google Maps. NOAA's Digital Coast offers a self-paced course 80 minutes long that introduces LiDAR. "This self-paced, online training introduces several fundamental concepts of lidar and demonstrates how high-accuracy lidar-derived elevation data support natural resource and emergency management applications in the coastal zone. The material provides geospatial analysts with the information needed to understand the characteristics of lidar that have direct impacts on mapping and spatial analysis projects. A demonstration is included to show how lidar data can be downloaded from NOAA’s Digital Coast." 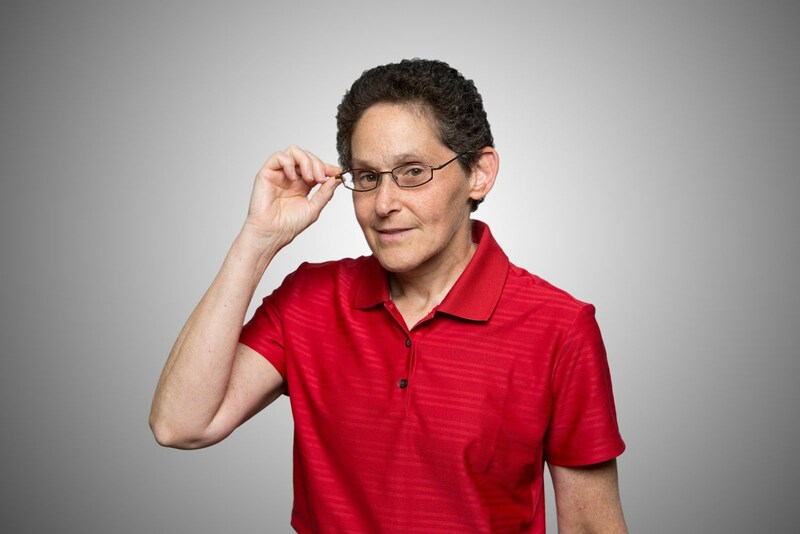 The course requires Flash and was published in May of this year. h/t Martin Isenburg. The University of Maryland's Geospatial Information Sciences Program has a new home in the "4,000-square-foot facility, now known as the Center for Geospatial Information Science. It includes four components: a maker space that allows students to work on programming mobile devices a motion capture space that allows for geospatial computing training and demonstrations an open office space for postdoctoral researchers, graduate students and visitors a situation room, which serves as an area for seminars and strategic planning." The geographic information science and cartography major has about 260 students and the minor 80. The center also has a new master's and graduate certificate program in geospatial intelligence that will launch next fall. CU Boulder's Science Learner's Lunch workshop series runs each Wednesday at noon. Coming this fall: workshops on ArcGIS and QGIS. The schools news introduces Cal State Fullerton's GIS program. There’s a new free tutorial about gvSIG in English, provided by Marwa Hassan, from Abu-Dhabi, UAE. The question posed: Are skatepark locations in New York City related to graffiti cleaning complaints? It's answered using geoprocessing tools in gvSIG. 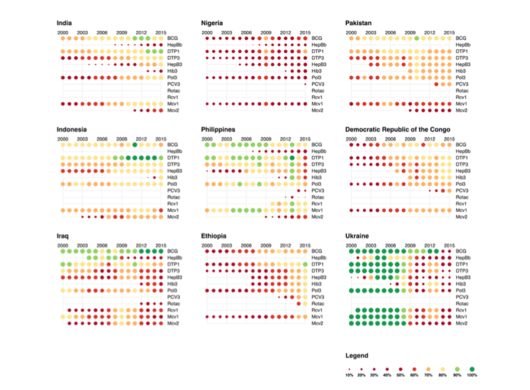 Robert E. Roth ‏shared "another visually stunning compendium of timely vis examples" from the Information is Beautiful awards. He rates the collection as an A++ teaching resource. Shannon H. White, 4-H State Science Youth Specialist at the University of Missouri, writes about how to be a GeoMentor. Those are the words of Alexander von Humboldt, who would have been 247 this past week. Visual News recaps five of the projects from Azavea's 2016 edition of the Summer of Maps fellowships. We need more programs like this! A bit of the map of roads and tracks in Adelaide. 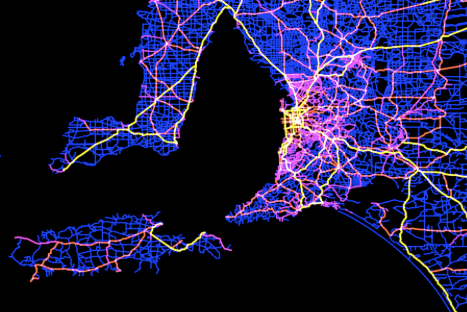 Robbi Bishop-Taylor, a PhD in Geospatial Science at the University of New South Wales built a map of Australia's 500,000 dirt tracks, roads and highways. His tools and data of choice: QGIS and topographic mapping datasets from Geoscience Australia. h/t Kenneth Field. The University of Texas at Austin is developing a safety map. Oddly, there is no mention of geography students or mobile devices. GIS Cafe shares more about the GRACE Project's summer GIS internships in The GRACE Project Offers Up the Keweenaw Time Traveler with GIS. The Education and Professional Development Committee of ASPRS invites presentations and workshops for its 2017 ASPRS Conference in Baltimore, March 11-17. I understand there is "a special education day on March 15th," but find no details on content. Abstracts are due Sept 26. Planet Money tackles "Why Textbook Prices Keep Climbing." I'm doing my part; I'm talking about Open Educational Resources (OER) at NEARC Ed Day. "USGIF last month awarded $112,000 in scholarship funds to students studying geospatial science or related topics. The annual USGIF Scholarship Program recognizes the achievements of graduating high school seniors, undergraduate, graduate, and doctoral students, and helps to further the advancement of the geospatial tradecraft. Since the USGIF Scholarship Program began in 2004, USGIF has awarded $1,003,000 in scholarship funds." Via press release. 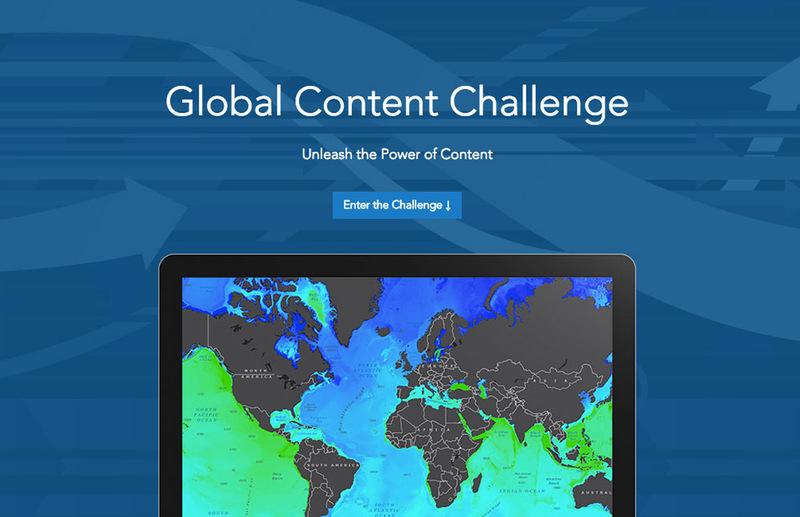 Esri announced it is engaging students all over the world in a new contest called the Global Content Challenge. Students will "tell their own compelling scientific stories using the Esri Story Map Journal app" to win money or software and have their maps shared. Via press release. I noted last week that GeoHipster is holding open three slots on its 2017 calendar for undergraduates' maps. The details on how to enter your work are now available. URISA invites students to apply to be volunteers and receive complimentary registrations to GIS-Pro 2016 in return for a few hours of volunteer service. The event is in Toronto, ON at the Westin Harbor Castle from October 31- November 3, 2016. Via press release. By promoting Open Educational Resources (OER) you have earned Education Angel status!